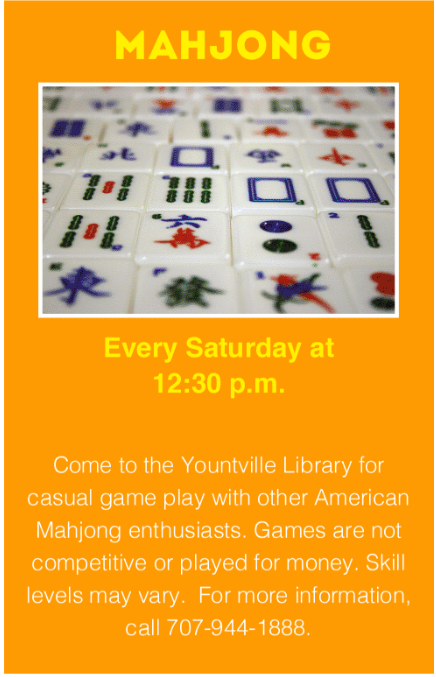 Come to the Yountville Library for casual game play with other Mahjong enthusiasts. Games are not competitive or played for money. Skill levels may vary. For more information, call 707-944-1888.